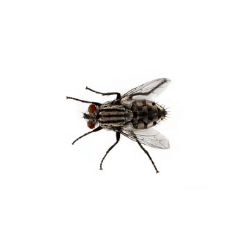 Are you dealing with a pest problem at your home or business? You've come to the right place. Terminators Pest Control takes pride in servicing your home and office as if its our own. We never rush jobs and always guarantee your satisfaction. 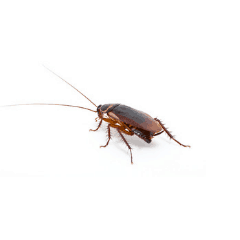 How do you know which pest control company to choose? You might say, "I just want the pests gone and that's all I care about". But let me ask you this: Wouldn't you prefer a family friendly company that also kills all the pests? And how about competitive pricing and a team that's been in business since 1975? If you answered Yes! to those questions then you want Terminators pest control. We have been serving Philadelphia since 1975 and have a track record for success. 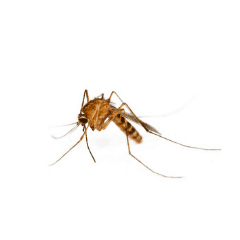 Our team is always highly responsive, punctual and eliminate the pests from your home without a trace. In many cases we're even able to offer same day service. Terminators Pest Control is a leading bed bug extermination service in the Philadelphia and Delaware Valley Area. If you think you have bed bugs or you're not sure, give us a call for a free quote. Bed Bugs are pretty gross creature that can be picked up anywhere in your environment. The dictionary defines bedbugs as a "wingless bloodsucking bug sometimes infesting houses and especially beds and feeding on human blood". Unfortunately they're sucking the blood of human beings like you, your spouse, or your children. Bed Bugs can hide anywhere in your home, in your carpet, your clothes, anywhere that a very small parasite could make a home. When you go to sleep at night, these bugs creep into your bed and bit you similar to a mosquito, flea, or other bloodsucking parasite. This is why you often wake up with little red bites all over your body in the morning. Unfortunately once bed bugs have entered your home, they can be very hard to get rid of and do not go away on their own. They will continue to proliferate in not only your bedroom but every other room in the house as well. 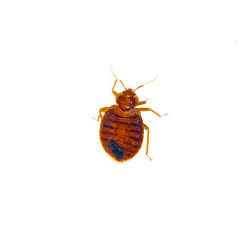 It’s important that if you think you have bed bugs, you get them exterminated right away. And if you’re not sure, have a professional exterminator come to your home for an inspection. While you may think bed bugs are something to be ashamed of or a sign of being unclean, the reality is you can get bedbugs from just about anywhere. Because they are a relatively small parasite, they can hide in fabrics, grass, even on walls or clothing. You may have picked them up at the movie theater, your kids can get them at their school, there are a million places that a bed bug can come from. Having bed bugs or a bedbug infestation in your home is nothing to be ashamed of but it is something to get taken care of right away. Fortunately Terminators offers discreet and highly effective bed bug treatment to remove the problem quickly and safely. What do they do to your home? Bed Bugs do not damage the integrity of your home like a termite would but they do go everywhere within your house. If you have a bedbug infestation, the longer you wait, the more expensive it will become to have your home treated. As the bedbugs continue to reproduce and populate within your home, they will set up residence on the walls of your closet, deep within your carpet, and even within the sockets of your walls. The longer this process goes on, the harder it is to find and exterminate them. Fortunately bed bugs are not known to carry any diseases. However they do bite you when you’re sleeping which leads to lots of little red bumps that itch and excess scratching can then open those wounds leading to other infections. How do you get rid of bed bugs? What are the treatment options? Getting rid of bedbugs is not something you want to do on your own. Because bedbugs are so small, reproduce so quickly, and hide all over your house it’s very important to bring in professional help. There are multiple options for treating bed bug problems but the one that we have found to be most effective is Cryonite therapy. This bedbug treatment is not only extremely effective, but it’s also perfectly safe for you and your loved one's. One of the many benefits of this treatment is that can safely be used within crevices and wall sockets without causing any damage. This treatment rapidly freezes the bedbugs which immediately reduces the population. Then we follow that with a series of very specific treatments designed to kill any remaining bed bugs as well as keep them out of your house for good. If you have a bedbug infestation or think you might, give us a call for a free quote. Philadelphia ranks as the top city in the nation for mice infestation. This means it’s a big problem that’s probably not going anywhere, anytime soon. But you can do your part by exterminating mice at your house and using terminators pest control to help you keep them away. Mice eat a variety of foods including seeds, plants, fruits, and anything else that may be growing in your garden. And when they don’t have these foods available, they begin invading your home and damaging your house. Fortunately Terminators Pest Control has been exterminating mice in Philadelphia since 1975 and we can help you get rid of the mice and keep them out of your house. What do mice do to your home or business? Mice and rats cause a tremendous amount of damage to your home and office. They will chew through walls, chew through cables and wires, and even chew through furniture in your home. This can cause expensive problems for you and become a fire hazard because exposed cables run the risk of shorting out and catching fire. In addition to the property damage they cause, having a mouse problem at your place of business presents those same risks and more. All it takes is one customer to notice mouse droppings or a rat in your place of business to leave a bad review or call the local news station. This type of press would be detrimental to your business - especially if you serve food. 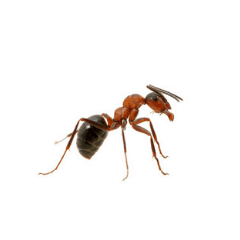 Fortunately terminators pest control specializes in Philadelphia mice extermination. So if you think you may have mice at your house or business, don’t wait - give us a call for a free quote. Deer mice typically live in more wooded areas and are sometimes referred to as field mice. They range from 7 to 10 cm long in body length and have a pointed nose with black eyes. They’re light brown to red with a white underbelly and feet. 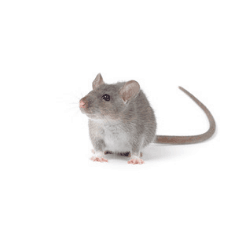 These mice are known to carry several diseases including a potentially fatal respiratory virus called Hantavirus. When these mice enter your home they like to hang out in your basement, attic, and other less populated areas. They build nests inside of stored items like furniture and mattresses. And they reproduce several times per year generating between three and five offspring with each reproduction cycle. They can become a major problem if left untreated and present many health risks for your family and customers if they’re in your place of business. The white-footed mouse, also known as the wood-mouse, ranges from 3.5 to about 4 inches in length not including the tail. They eat seeds and insects and generally try to avoid humans but will take up residence in your walls where they will build nests in store food. They are known to carry Lyme disease which is a major threat for your family and/or clients at your place of business. In northern regions these mice typically breed once per year but in the right conditions they can breed year round. Females will breed 2-4 times per year giving birth to between two and nine babies each time. House mice have a dirty gray color in range from about 2 1/2 to almost 4 inches long. They are found throughout the United States including Philadelphia and it suburbs. They eat seeds, nuts, insects, and fruit in their natural environment. But when they invade your home, they will eat almost any human food. These mice are known to carry multiple diseases including the spread of salmonella through their feces. And since these mice have a habit of invading human food sources, contamination by the house mouse can be a common issue. These mice breed as much is 7 to 10 times each year, live for 1 to 2 years and deliver 5 to 7 mice pups with each reproduction cycle. If you have a mouse problem it’s generally pretty easy to spot. 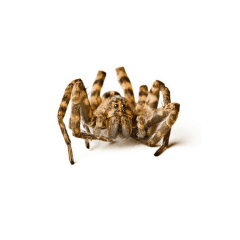 You may hear things scurrying through your walls, smell a dead mouse in your walls, or find droppings in cabinets or basements. If you think you have mice but you’re unsure, give your home a walk-through to see if you can spot any droppings. Specifically check less populated areas such as basements, attics, and cabinets throughout your home. If you see any mouse droppings, which look like little dark pellets, then you have a mouse problem and it’s time to call an exterminator. Since mice are known to carry diseases in their feces, we do not recommend picking them up yourself. Call a professional mouse exterminator and we will come out to treat the infestation and remove the feces. Mice are known to carry many diseases which can be transferred to humans. Depending on the species of mouse that you have invading your home, diseases can vary. We know that they can transfer Lyme disease to humans as well as the Hantavirus which is a potentially deadly respiratory disease. And since many mice will make their way to your kitchen where the food is, it’s relatively easy to eat something that has been contaminated by one of these diseases. This presents a very real health risk for you, your family or your staff and customers at your business. When choosing a mouse exterminator, you want to company that’s local and experienced in the Philadelphia area. 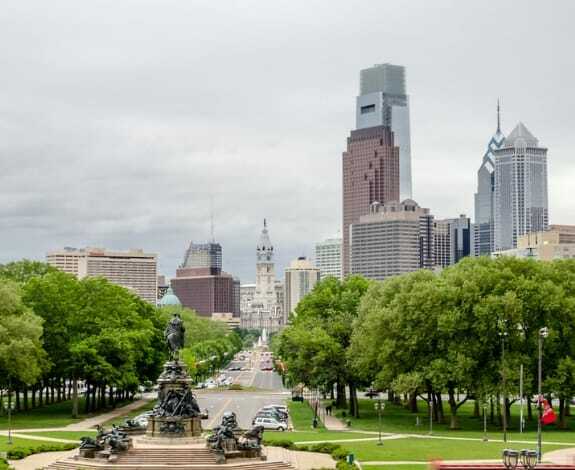 We have been servicing Philadelphia since 1975 and we’ve treated more than 50,000 homes and businesses. We know where mice are likely to hide in homes and businesses and we're experts at finding where the mice are entering your place of residence. We offer a 15% instant discount on your first service with terminators, and we even patch the small holes where mice are coming into your home or office. If you want your mouse problem taking care of fast, give us a call for a free quote. 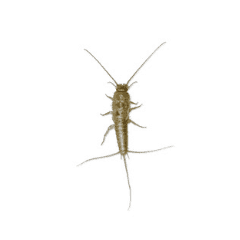 If you live in Philadelphia and have or think you have a termite problem - then we can help. 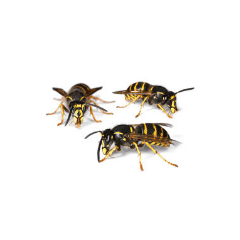 Terminators pest control is quick, effective, and guarantees our service. To learn more about termite extermination, read the points below or call us now for a free quote. What do termites do to your home or business? As you probably know, termites chew through any wood in your home or business. This includes structural support beams, the studs in your walls, and anything else within your home that’s made of wood. Termites reproduce quickly and they can infest all areas of your home in a very short period of time. It’s important to get this problem addressed right away by hiring a professional extermination service. If termites are allowed to continue reproducing within your home or office, it won’t be long until you are facing very expensive repairs. Termites are not known to carry any harmful diseases. The danger of termites comes from the damage that they are able to rapidly inflict on the structure of your home. Exterminating termites is no small task. It’s also something that must be done right because if any termites are left behind, they will simply reproduce and re-create the problem. 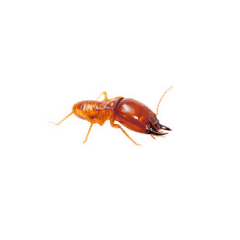 Fortunately terminators pest control offers termite treatments, inspections, and even certifications. We are Termidor certified professionals and offer a five year warranty on ALL termite treatments. We also offer you the option to extend your warranty to a lifetime warranty which protects you as long as you own the home. If your home or office has a termite problem, give us a call now for a free quote. And everything else you might have "bugging you" at your home or business.